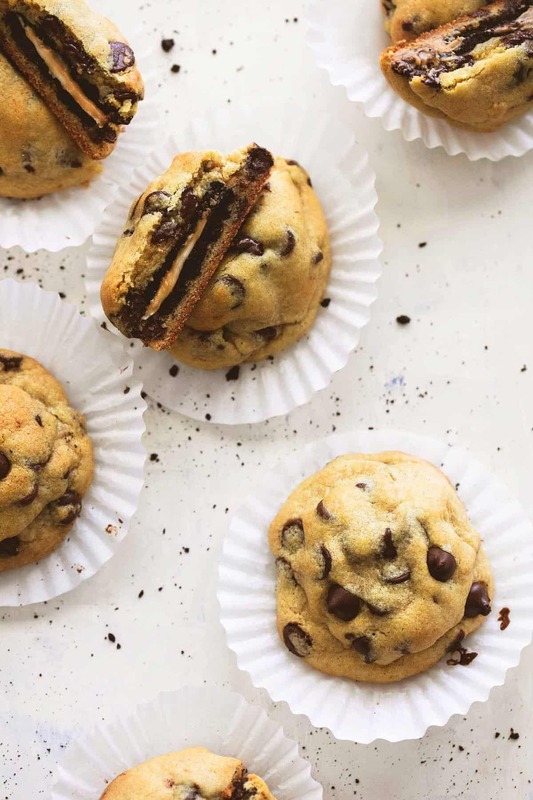 Perfectly chewy peanut butter Oreo stuffed chocolate chip cookies are the ultimate cookie lovers dessert, especially when paired with a glass of milk. This recipe is in partnership with Milk Life. Thanks for letting me work with the brands I love! Today we are talking about the classic – maybe best ever – food combo, milk and cookies. 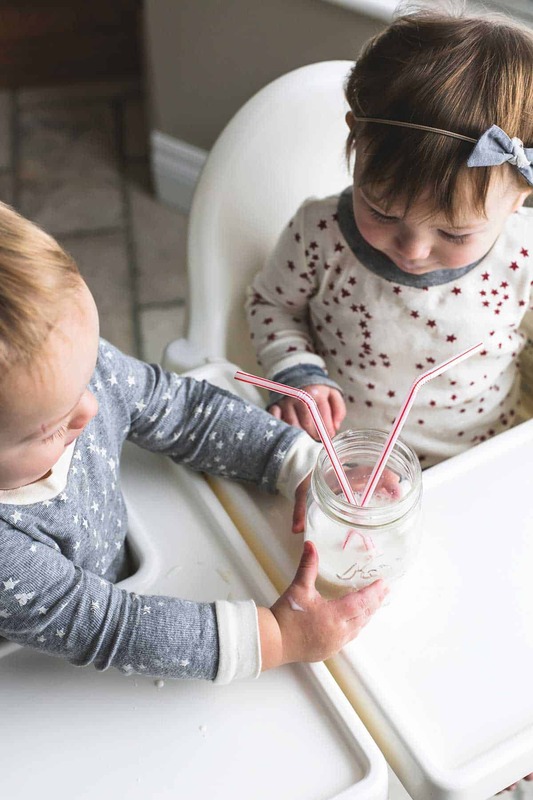 When my twins were teeny tiny I put them in the most adorable white onesies with little felt appliques on them – one with a carton of milk and one with chocolate chip cookies. I couldn’t help myself! If you have twins, twin mom-ing is not a walk in the park so I take my perks where I can get em. My kids have almost identical adventurous and spunky personalities, and they truly go together like milk and cookies. Growing up, I didn’t drink milk very often. Actually I think it was only when I had a bowl of cereal that I actually reached for the milk jug! My mother never loved milk so I think she just wasn’t compelled to encourage us to drink it very much but my husband’s childhood is a whoooooole different story. My mother in law guzzles milk like it’s going out of style and she served her five kids a tall glass of milk with their dinner every. single. night. She asked me once if I was going to give my kids milk even though I didn’t grow up drinking it myself. I said yes! 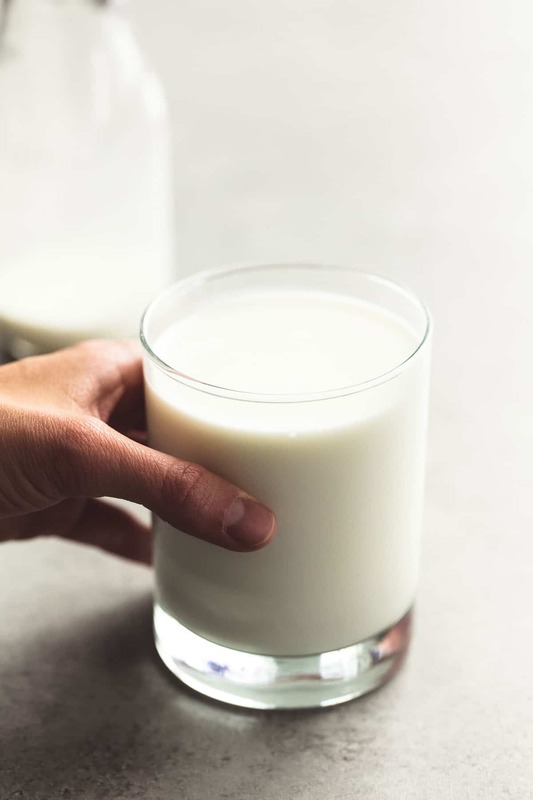 Milk is the top food source for three out of the four nutrients of concern – the nutrients Americans, including children, are most lacking – calcium, vitamin D and potassium. Right now my kids are in a particularly picky phase and I can’t get them to eat veggies to save my life, so trying to get them to eat enough dark leafy greens to replace the calcium in milk just isn’t happening. Did you know it would take 7 cups of raw broccoli to get as much calcium as you get in just one 8-ounce glass of milk?! 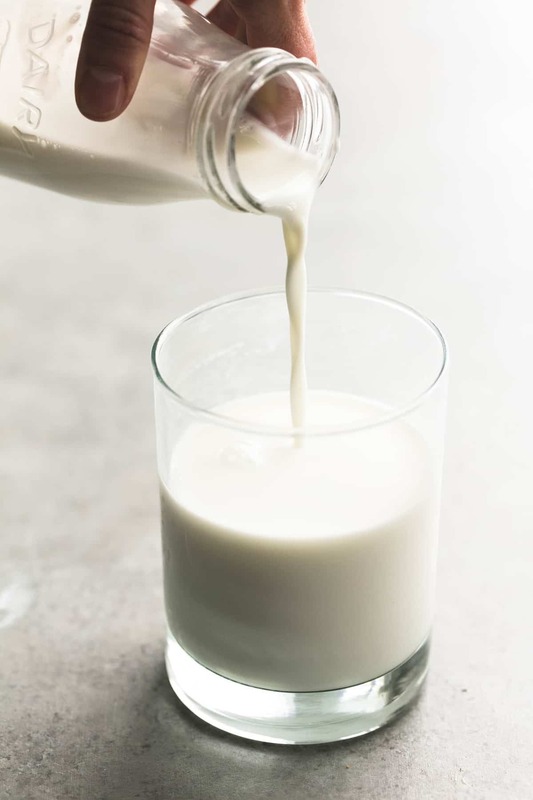 Milk is a simple way to get natural, high-quality protein plus other nutrients kids need to help power through the day’s activities with a taste they love. So whether it’s along side a pb+j sandwich or a peanut butter Oreo stuffed chocolate chip cookie, I feel good knowing my growing twinners are getting so many fantastic nutrients from a glass of milk every day. 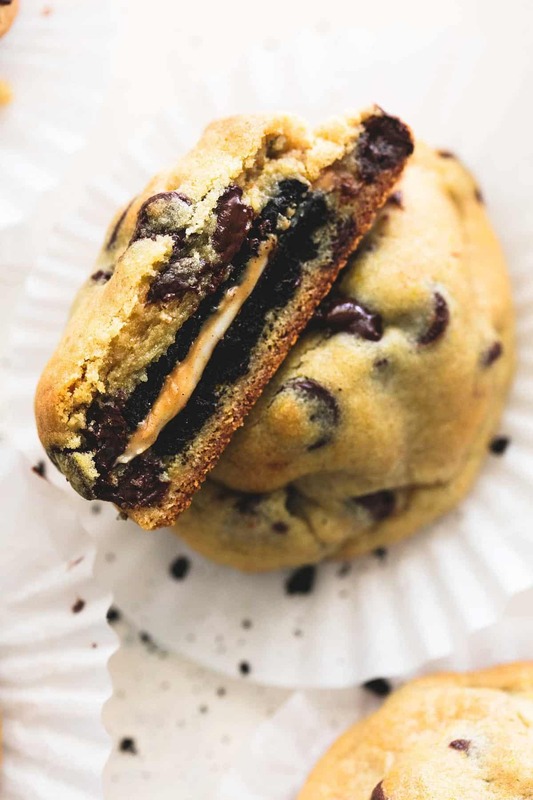 Perfectly chewy peanut butter oreo stuffed chocolate chip cookies are the ultimate cookie lovers dessert. Start by beating butter and sugars together for 1-2 minutes until very fluffy. Add vanilla and egg and mix well. In a separate bowl whisk together flour, pudding mix, baking soda, and salt. Add dry ingredients to wet ingredients and mix until incorporated and dough comes together. Stir in chocolate chips. Cover tightly and chill for at least 1 hour. After you put the dough in the fridge to chill, prepare the Oreos. Pull apart the Oreo cookies, spread 2-3 teaspoons of peanut butter on one half and press the cookie back together. Repeat with remaining cookies. Place on a plate and freeze until ready to use. After your dough has chilled for at least 1 hour, take it out of the fridge and preheat your oven to 350. Lightly grease a large baking sheet and set aside. 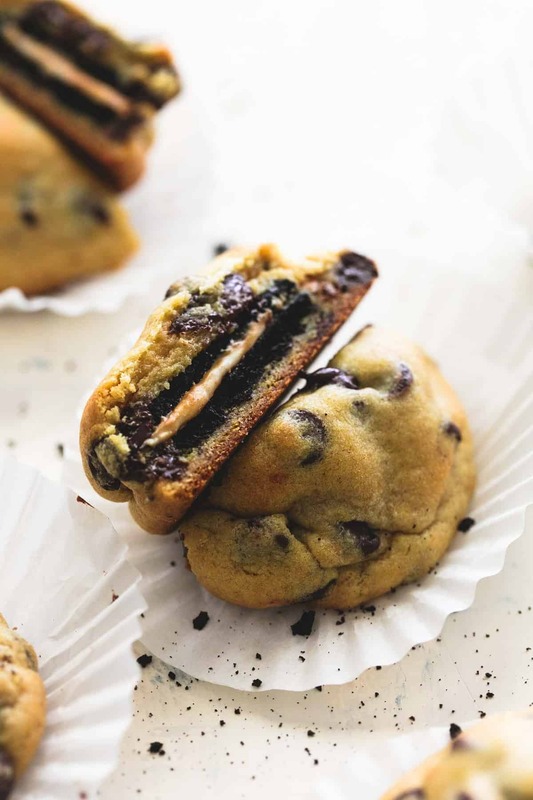 Cover each peanut butter Oreo with cookie dough about 1/4 inch thick. Place on prepared baking sheet and repeat with remaining dough and cookies. (Careful not to crowd your cookies too close on the baking sheet. Bake cookies for 9-12 minutes until they are started to lightly brown around the edges but are just shy of being fully cooked. 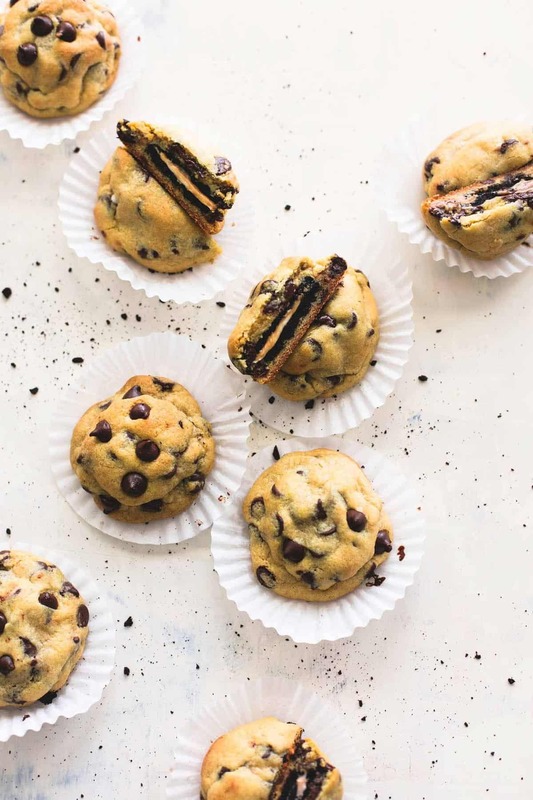 Remove them from the oven and allow to cool for about 20 minutes on the pan (until the pan cools), then transfer the cookies to a wire rack to cool completely - they are completely done cooling when you can touch one of the chocolate chips and it is firm. Store in airtight container. Serve at room temperature. Be sure to follow Milk Life on Twitter, Facebook, Pinterest, and Instagram for more delicious recipe ideas. Maybe they weren’t stored properly? Make sure to store them in airtight container of some sort at room temperature. Holy Smokes- that recipe is all sorts of out of wack right now! Thanks for pointing those out!